Part 1 included products you may have neglected to purchase. Here and in Part 3 I will describe pure blunders, whether performed knowingly or not. 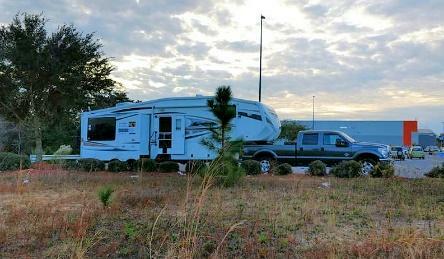 I would imagine any experienced RV’er would have either made some of these mistakes or heard of someone who has. I didn’t prioritize the list in any particular order. I didn’t include a common faux pas if it didn’t have potentially serious concerns, so forgetting to store leveling blocks or remove chocks before pulling away, though possibly embarrassing, didn’t make the list, since the worst that would normally happen would be a broken or bent block or chock, and maybe some laughs from observant neighbors. Most RV’ers are familiar with the sensitivity of smoke alarms in their rigs, seemingly able to sense the campfire three sites over. Ours would go off every time we cooked, even with the stove vent open and fans blowing in the kitchen. 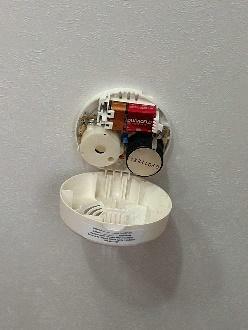 The temptation is to disable the alarm by pulling its batteries, which is what we did. But, don’t do it. I have since corrected my mistake, since I woke up one morning and found I hadn’t replaced the batteries in the alarm the previous evening. The smoke alarm is one of the most important safety features in your camper. It’s often difficult to tell how soft a shoulder is, whether it’s safe to pull onto it from a highway. I would suggest you wait until you have pavement to pull onto, since having two or more wheels digging into wet sand or mud can actually pull the unit over on its side. In the past year we’ve seen this had happened on the road we were on three times, so it can definitely happen. This includes fifth wheel hitches, to which I can personally attest. Pulling your truck away with an unsecured hitch connection is a recipe for disaster. In my case, the fifth wheel fell out of the hitch onto my tailgate and bedsides, costing about $1,600 to repair. In Part 1 I mentioned risking a poop dam when using non-septic-safe TP. This can also happen with any toilet paper if you leave the black tank sewer valve open. 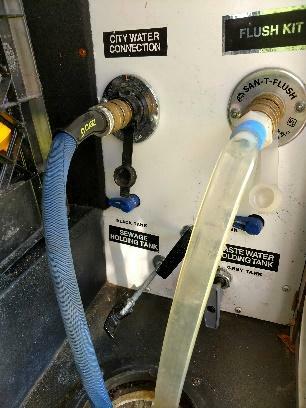 Unlike your home toilet that issues plenty of water and pressure to move waste all the way through the system every time you flush, RV black tanks are made to use the tank to store enough fluids to help the emptying process to clean out everything from the tank. Not satisfied with that process alone, we also use an additive to the black tank that helps the waste break down while sitting in the tank. This can be a very expensive repair, especially if you have a weather-resistant undercarriage. Similar to the black tank but with less solids involved, keeping the gray tank sewer valves open can cause a grime build-up as well, though it can take much longer. Again, the tanks are made to gather fluids and wash into the sewer lines quickly with pressure, and the repairs can be expensive. Pretty self-explanatory but forgetting these is more common than one would think. 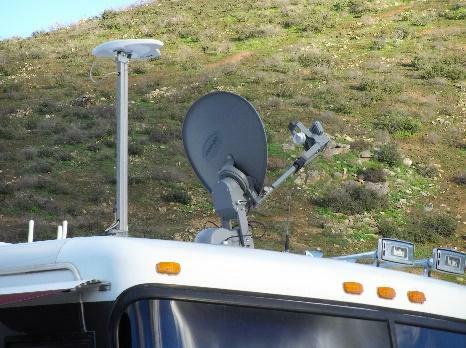 A walk-around the rig before leaving helps a wise RV’er double-check for these extended accessories. Like the awning or TV antenna, the damage caused neglecting to remove and store hoses before pulling out can cost a pretty penny to repair. This has always been a concern of mine. While hooked up, I climbed the rig and found the highest point on the roof, measured from the top point to the roof, then from the roof at that height down to the ground. Adding the two measurements gave me 13’4.5”, lower than the average tractor-trailer height of 13’6” so I am comforted every time I see a semi on the road I’m driving on. Back east we found ten times more low clearance underpasses and bridges than in the west, but they exist nationwide. We use a trucker’s site and a variety of mapping tools to determine if there are any height restrictions less than 13’5” and are always watchful. 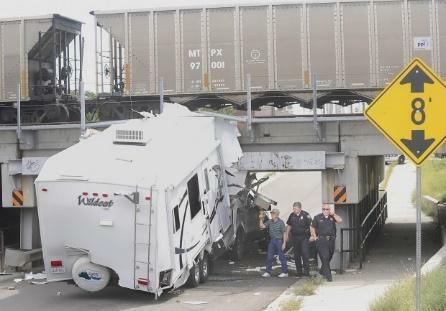 Disaster was averted in Binghamton, NY, when I went around a corner and down a ramp below an overpass only to see the 11’8” clearance sign half way down. That would have left a mark. I often cringe when I’m watching a newbie who apparently doesn’t quite have a handle on their turning clearance. Most often accidents occur with right-hand turns, hitting sign poles or light standards, or turning in either direction in a gas station, taking out a pump or other vehicle. Here’s another lesson I learned the hard way. My wife had bought me a rear tool box for my pickup. It was made with sheet metal and had the low middle for the fifth wheel kingpin to clear. I intended to bolt it down but ran out of time before travel day and I put it in the bed unsecured. The wind came up and lifted the tool box under the 5th wheel front and when I turned, it crunched the $350 box into what looked like twisted scrap metal. It also damaged some of the surface of the trailer itself, which needed to be repaired. It could have been much worse. Running out of gas is never fun and can be expensive if you are in the middle of nowhere and have to have a tow truck called. It’s worse for many diesel-powered vehicles, as it can easily cost $300 or more to have someone prime the engine on site. 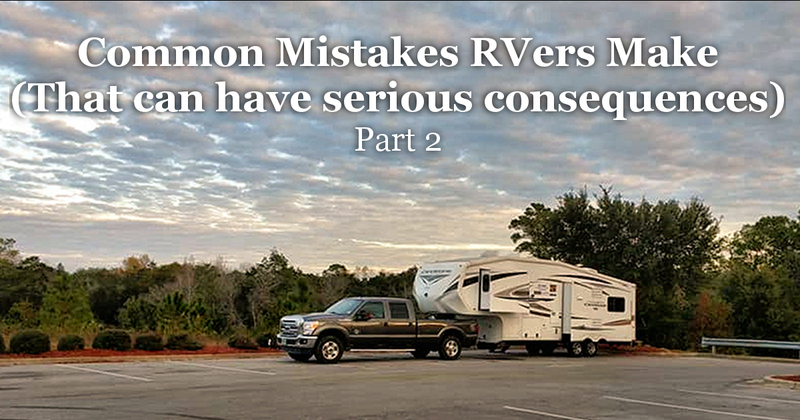 In Part 3, I’ll continue describing common mistakes RV’ers make that go beyond products you might buy.